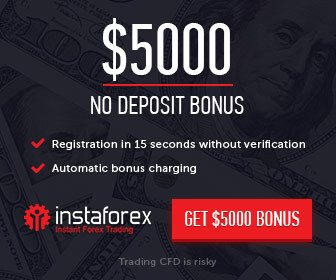 No deposit bonus allows you to try your hand at real market conditions without risking your own funds! This bonus is deposit-free and does not require the deposit of own funds to withdraw the bonus and the bonus profit. Welcome Bonus can be obtained by every new client who has passed the verification procedure in the Trader’s Room. The Welcome Bonus can be obtained only within 10 calendar days from the moment of registration on the company website. The bonus amount is 35 USD (3500 USD cents if your account is Cents account or the equivalent amount in Euros, depending on the currency of your account). The Welcome Bonus can be used only once, it can be obtained only by new customers for one trading account. The Welcome Bonus is not available on the Flex Newbie, Pro and S.T.A.R. accounts. Your relatives will not be able to get the bonus, if you have already received it. To withdraw the bonus and profit made with the help of bonus funds you have to meet the terms of the trading turnover on the account: 20 lots for USD or EUR accounts or 2000 micro lots for Cent accounts.